Enjoy this popular combination of sweet and salty, now in a teacup. Our all natural blend of hand-picked black tea and succulent caramel with just a hint of salt flavor is the perfect treat. Add a splash of milk and a little sweetener for a sublime guilt-free indulgence. Be sure to start with fresh cold water and bring to a rolling boil. Pour over tea bag, steep for 4 minutes, remove bag. For Iced Tea by the Glass, steep a little longer and pour over ice. This is my favorite of all the tea! Unbelievable taste! I can't seem to get enough! I drink it hot only and I seem to forget about all the other flavors that I have. I just wish it came in decaffeinated. 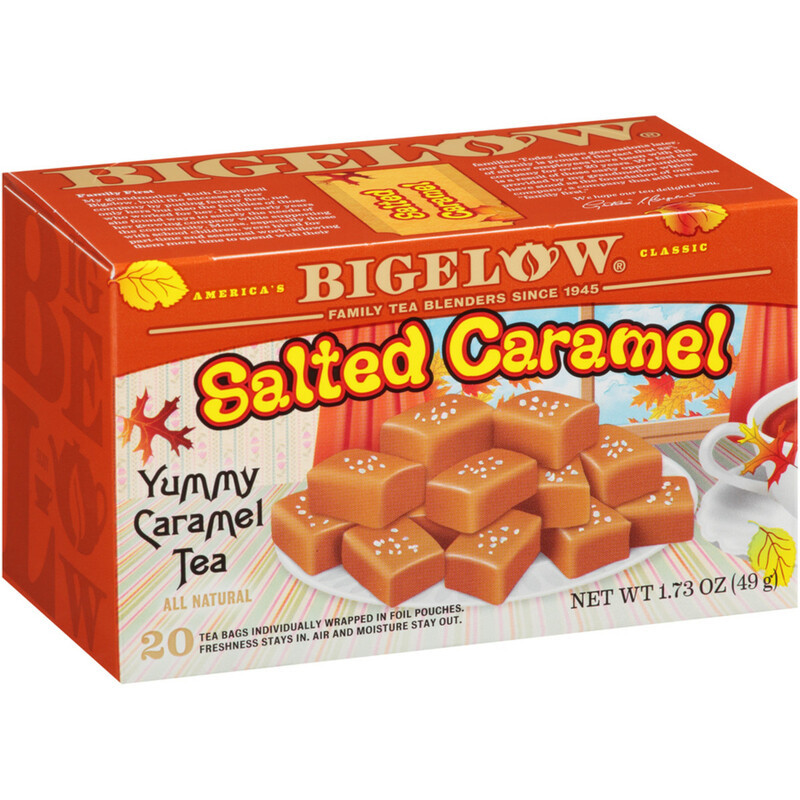 Bigelow Tea reserves the right to remove any comment from the reviews that we feel is inappropriate or offensive. You must be a registered user to leave a review.